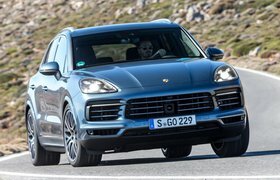 2018 Porsche Cayenne E-Hybrid verdict | What Car? So, let’s talk numbers. With a starting price just north of £67,000, the Cayenne E-Hybrid slots in between the regular Cayenne and the oddly less powerful Cayenne S in Porsche’s line-up. It costs slightly more than Audi’s Q7 E-tron, but is a comparative bargain next to the Range Rover P400e. If you’re buying one as a company car, the Cayenne’s slightly higher CO2 figures compared with its tow key rivals mean it will cost you the biggest chunk of your salary in benefit-in-kind tax (19%), while the Q7 e-tron commands a mere 13% and the P400e 16%. Just bear in mind that plug-in hybrids like these are most efficient on short journeys and with a charged battery. If you try running one like a regular petrol SUV, fuel economy will be a disappointment. And yet, the Cayenne’s sporty credentials are difficult to ignore. This is a large, luxurious SUV that can do zero-emissions driving almost as well as its key rivals, but can dominate them when it comes to sheer performance. It's good news when it comes to towing, too, because the E-Hybrid model is capable of pulling along 3.5 tonnes – that's more than either of its two main rivals. 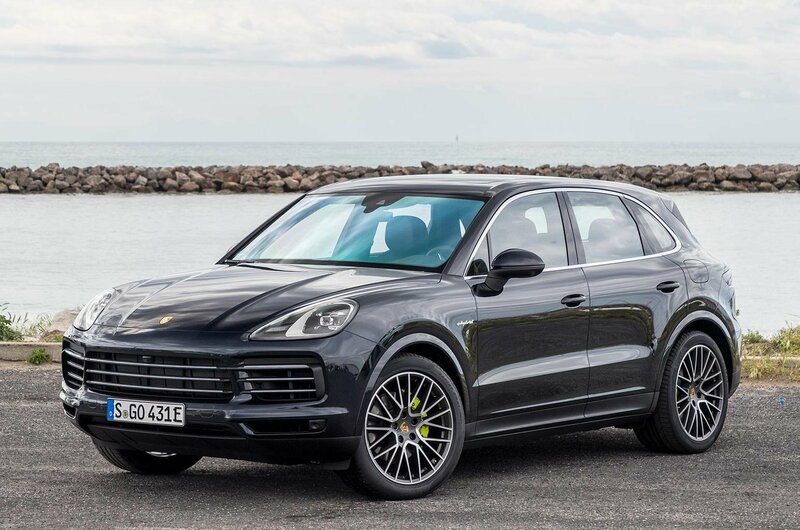 Porsche has managed to walk a very fine line with the E-Hybrid model by using electric power to boost performance and lower CO2 output while retaining the Cayenne’s sporting character, and we think it’s on to a winning formula. Kensington school journeys might never be the same again.